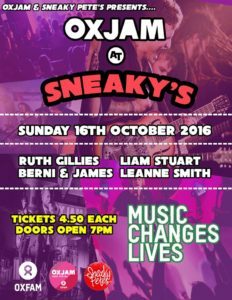 For one night Oxfam and Sneaky Pete’s are coming together to raise money through the power of music in an effort to end poverty across the globe. All ticket proceeds will be going directly to the causes that Oxfam currently aides. 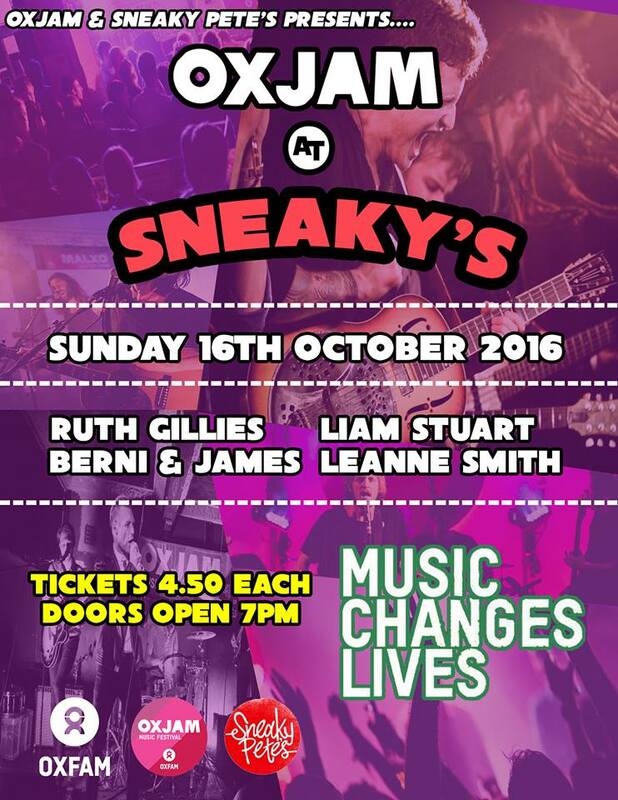 Becky Cole (second year student on the BA Popular Music Program) has organised this one off event at Sneaky Pete’s in aide of Oxfam. The event will feature performances from composers on the programme; Ruth Gillies and Liam Stuart. Oxjam is an annual music festival in aide of Oxfam which takes place every October. It’s made up of hundreds of events happening across the UK, all organised by volunteers like Becky.